Ladies and gentlemen, young and old, wise and otherwise, before I start speaking let me say this. I'm here today to elucidate, educate and eradicate a few priceless gems of wisdom that I have learned during my far-flung travels round and about the civilized and uncivilized world. I also have many degrees, an esteemed member of pie kappa pie, and Suma coom Loudmouth from Whatsamatta You! Furthermore it's needless to say, it's needless to say, although what I am here to say is that one of mans greatest goals and achievements is the conquest of human pain and suffering. Now how about you? Yes, You! Well, whimper and whine and wallow in your misery no longer. Your face is in the right place. So step up folks, because these arcane mysteries and esoteric anomalies are not for the unassuming, unsophisticated, unwashed, unsuspecting members of the public alone , but for your ears and your ears only. Friends, I know you are all anxious for me to gesticulate about the Splendiferous, spectacular, and wondrous properties of this amazing Elixir of Life. You need not beat the bushes any longer for here is the questions for all your answers, the problems for all your solutions, and the ailments for all your cures. I am so very proud to prevent old Doctor Sharps High Potency Liver regulating, Gastro Emulsifier. If you are like most people, and most people are, you won't pass up this one and only opportunity to acquire the original, one-hundred percent genuine repatriated, amalgamated, ventriculated and highly concentrated spiritus fermenti.....compounded by me from an ancient secret concoction of un-natural spices. We have done extensive, expensive, retentive research and have left no turn un-stoned to bring to you this cornucopia of medicinal blunders that will knock your socks off and ring your dinger. Good for everything that ails you from the pain in your Mazurka to the hitch in your get along. Pour it over your head or drink it. You can even rub it between your toes or brush your teeth with it. No need to worry for it has all been blended to absolute perfection right in the privacy of my very own bathtub. This joy juice will put back the skip in your step and the zippity in your doo-dah. Even the razzle back in your dazzle. Gone bald pour it over your head and grow new hair. Welds broken bones, restores rotten teeth and can even reverse the effects of time and aging. Seem miraculous? Well it is, so let me say this in confusion. Don't bite the hand that lays the golden egg. Don't let a gift horse in the house. When your exasperated, castigated, irritated and agitated try Old Doctor Sharp's High Potency Liver Regulating, Gastro Emulsifier. 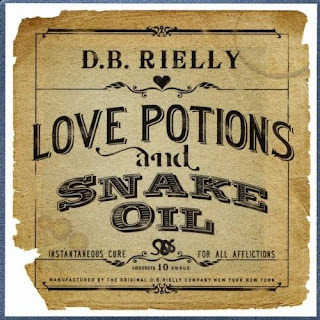 If it doesn't seem to sit well with you just return the unused portion in a stamped self addressed sealed envelope to Old Doctor Sharp's High Potency Liver Regulating, Gastro Emulsifier and we'll refund the unused portion of your money. Be sure to read the label for more inflammation and remember you can lead a horse to water, but a pencil must be lead. 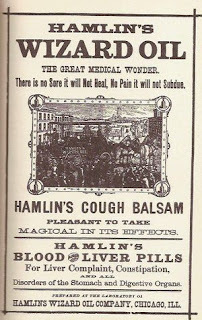 So get the lead out and buy Old Doctor Sharp's High Potency Liver Regulating, Gastro Emulsifier. where his talent for Banjo would have any worth. he robbed a small store and went on the run. heard the sound they were feared of afeared of the most. There by the fire, Bob played his Banjo so fine. that it tickled yer feet and tingled yer spine. right elbow swing or some kinda deal. Until they forgot what happened in town. Banjo Bob was long gone, with their horses as well. In looking through my old bottle collection, I found an old patent medicine bottle among the group. Here was the perfect storytelling prop for my old time medicine show skit. 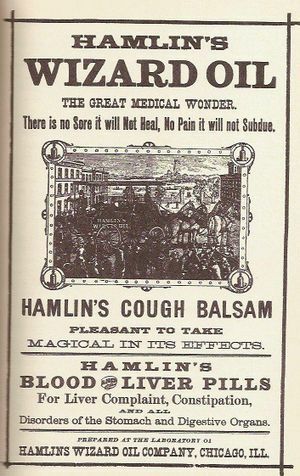 The Bottle was once used for Dr. W. B. Caldwell's Syrup Pepsin manufactured in Monticello, Illinois and contained Pepsin (an ingredient found in Pepsi as well as senna a type of herbal laxative. 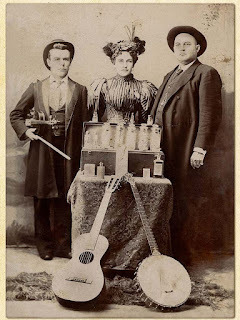 By introducing the medicine show it's the perfect format to play banjo tunes, tell jokes and stories at some o...f the storytelling festivals and mountain man rondy-voos we perform at. I've edited the script for the introduction a bit. I found an old photo of a medicine show entertainment as well. Banjos are involved, so I'm on the right track. Doctor Sharp's High Potency, Liver Regulating Gastro Emulsifier - Cures warts, welds broken bones, saves rotten teeth, restores vim and vigor, reverses stink foot, cures baldness, restores regularity, siphons off unwanted gases and digestive excesses, puts the shine back in greaseless hair, the perfect gout be gone, mends broken hearts, cures beady eyes, corrects blurry vision and reverses the wrinkles of time. to tell you something I know nothing about! So pull up a chair and sit on the floor. Were Aces and Eights and then he was done. But banjos are numero uno!" We're called Idlewild, I'm Idle and she's wild. Pioneer Utah and family stories. Goin' across the Sea / Glenn's Ferry - The first tune is an old time traditional American piece I learned from long time friends, Cory Webster and Mark Jardine. I've added a couple of verses to go with the first verse. Glenn's Ferry is a reel composed by me while camping at Glenn's Ferry along the Snake River in Idaho. Where the old crossing for the Oregon Trail had been. Dave - Clawhammer Banjo and Vocals. Carol - Whistle and Tambourine. Appaloosa - Old time American Reel written by me within the tradition. Every day as I head to work I see four or five grey Appaloosa that were the inspiration for this tune. Dave - Clawhammer Banjo. Carol - Whistle. Old Jimmey Sutton / Goin' down to Cario - The first tune is an Appalachian play song meant to make children laugh and the second tune is a Midwest fiddle tune I learned from Cory Webster. I've added two of my own verses. Dave - Mountain Dulcimer and vocals. Carol - Tambourine. On the Road to California - Old Time tune from the Mormon west sung to the tune of Old Dan Tucker. It was thought that the Mormons in their exile would head to California originally. The verses of the song talk about being driven from their homes, and the extermination order of Governor Boggs. Dave - Clawhammer Banjo and vocals. Carol - Whistle. Porter Rockwell - This song fragment was collected back in the early 50's. Porter Rockwell was one of the wests most notorious gun slingers, Marshalls, body guards, mountain men and saloon owners. Dave - Spoons and vocals. Carol - Tambourine. Come thy Font of Every Blessing - Although originally a Shaker Hymn, this lovely tune was selected for the first Beehive Songster and was sung at many a Mormon meeting back in the day. Dave - Mountain Dulcimer and vocals. Carol - Bowed Psaltry. All are talking of Utah - This song was probably written sometime after the Utah war, since it was a tune by the title of Marching through Georgia. It was characterized by General Sherman and his march to the sea during the Civil War. The song vents the defiance the Mormons felt during their conflict with Johnson's Army and the Utah War. It was sung on Pioneer Day until around 1950, by many communities around the State of Utah. Dave - Clawhammer Banjo and Vocals. Carol - Tambourine. Lincoln and Liberty - This tune was used by Abraham Lincoln for his campaign prior to the out break of the Civil War. The words have been put to an old Irish air called Rosin the Beau. Dave - Mountain Dulcimer and vocals. Carol - Whistle. Spotted Pony - Old Time American Dance Reel - Dave - Clawhammer Banjo. Carol - Pony Limberjack. Promontory - I wrote this tune in honor of my ancestor John Sharp known as the Railroad Bishop. He was the senior partner in the firm Sharp and Young. He contracted the grading and tunneling work through Weber Canyon out to Promontory Pass Utah for the Union Pacific. Hard and difficult work, my ancestor had to later contest the Union Pacific in the New York courts for the balance owed to the Mormon Railroad workers. Dave - Mountain Dulcimer and vocals. Carol - Tambourine. 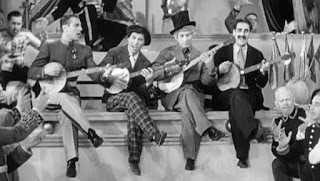 Banjo Poem - "Banjos are numero uno!" 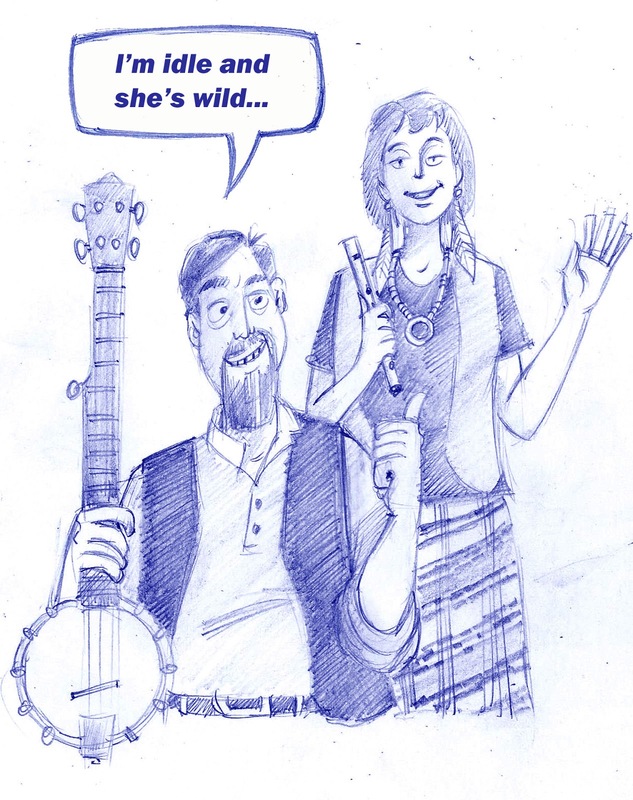 along with some of our favorite Banjo jokes. My Darlin' - I wrote this tune together with Carol one day as I would sing a part of the verse Carol would sing me another part of the verse from the kitchen and together we wrote our first song about a young couple making plans for a life together on the frontier. Dave - Clawhammer Banjo and vocals. Carol - Tambourine. Tis a gift to be Simple - an old Shaker Hymn and favorite Hymn for many people of many faiths. Dave - Mountain Dulcimer. Carol - Bowed Psaltry. 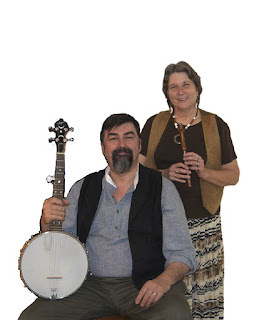 Snow in the Pass / Sharp and Young - Carol and I wrote this song about her Handcart Pioneer ancestor's journey to Salt Lake. The second tune is an instrumental piece in sawmill tuning titled after my Pioneer ancestor's contracting firm. Dave - Clawhammer Banjo and vocals. Carol - Bowd Psaltry. Wild Bill Hickock Poem - Poetry was often a part of many a gathering as it still is today for many Cowboy Poets. I wrote this piece about the famous Wild Bill shot in a card game holding what came to be know as a 'dead man's hand', of aces and eights. Old Aunt Jenny - I wrote this about a women in a rest home that we met, but it has many elements of a belief in the afterlife that would have fit with the period. Dave - Clawhammer Banjo and vocals. Carol - Tambourine. Blue Mountain - Written by Fred Keller in 1919 about the community in Monticello Utah around Blue Mountain. It gives a vivid description of times and is a real folkloric treasure. Dave - Mountain Dulcier and vocals. Carol - Whistle. Zack he Mormon Engineer - A satirical look at Zack Black a railroad engineer and Mormon Bishop, who had a wife in every town along the route his train took. It is sung to the tune of 'Oh Susannah' and is from the Cheney collection. Dave - Clawhammer Banjo and vocals. Carol -Tambourine. Crossed old Jordan's Stream / Buffalo Polka - Appalachian gospel tune, to which I've added extra verses along with a B part to the melody. Buffalo Polka is loosely based on Buffalo Gals and has some innovations in the melodic line. Dave - Clawhammer Banjo and vocals. Carol - Bowed Psaltry and Pony Limber-jack. We hope that those interested can attend.